Multiple bookings with Grab One vouchers, gift vouchers or casuals/individuals must be entered separately. Parking: Public parking is only permitted between the WHITE lines and Pay & Display conditions apply. $2 per hour is the standard rate. Parking in the RED or BLUE zones or overstaying your time could result in a $65 infringement notice. MV Seahawk: Walk down the ramp to the right of the Billfish Café and Seahawk is moored on Berth 19 slightly to the left side. Boarding: Embarking MV Seahawk is usually 10 minutes prior to departure . Back packs and personal belongings can be stored on the racking above the engine. If you have chilly bins for individual fishing please initially store under the seats. Large groups can use the large bins provided on board. Embarking & disembarking: Please take care embarking and disembarking Seahawk as the steps can to & from the marina can become wet & slippery under certain conditions and create a hazard. Departure: 4.30pm & ETA by 9.30pm We do everything to ensure departure time is adhered to but sometimes circumstances beyond our control may cause a delay. Rods: Rods are part of your twilight package. Please listen carefully to the crew regarding baiting your hooks & tips on fishing. Bait & ice: Our bait is top quality NZ pilchards and at times supplemented by squid depending on fishing conditions. All our charters come with ice provided. This will keep your fish in fresh condition. Dress: Warm clothing during all seasons is essential in case of inclement weather. 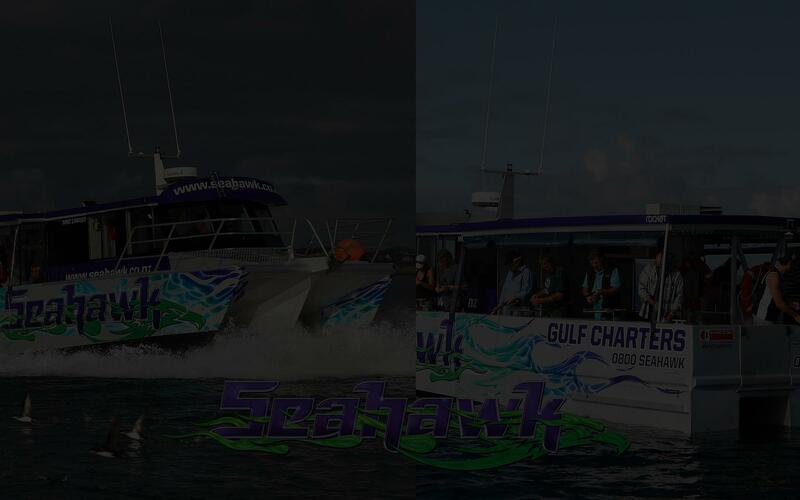 Crew: All Seahawk charters come with an experienced skipper and deckhand. Food & refreshments: Please bring your own food & refreshments. Z Pier store is open for last minute food & non-alcoholic drinks. MV Seahawk is strictly BYO. Alcohol is permitted on board but please do not turn up under the influence of alcohol as you may be asked to leave the boat. Liquor ban: Note there is a Auckland Council ban on consumption of alcohol in the entire car park area. Alcohol must be sealed when taking to and from the boat. Cancellation: If there is adverse weather we try & give 24 hour notice. Mechanical problems on the day maybe beyond our control.